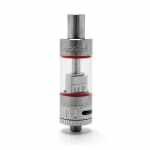 Sorry, Kanger Subtank Nano has been discontinued. The next in the line of Kangertech's hybrid tank systems, the Kanger Subtank Nano is now available at 180 Smoke. The next in the line of Kangertech's hybrid tank systems, the Kanger Subtank Nano is now available at 180 Smoke. One of the first of its kind, the Kanger Subtank line gives the user the opportunity to use Kanger's new sub ohm organic cotton coil systems. The organic cotton coil system utilizes Japanese organic cotton and boast an amazing flavor and vapor quality. The prebuilt organic cotton coils come in 0.5 ohm or 1.2 ohm coils. 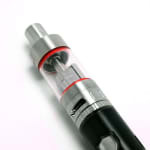 The 0.5 ohm (sub ohm) coil will work between 15 and 30 watts, the 1.2 ohm coil will work between 12 and 25 watts.